This is one consideration / analysis that I feel is important in order to be able to judge the “goodness” of the 19th amendment. One of the points of trying to write this out is to give you an idea of the kind of information that I am looking for in open meetings so that those with an interest and reasonable capabilities can understand our decisions. The second reason it to give everyone a feel for how complicated these decisions can get. Let’s look at the claim made during the March 7th work session discussion at 45 seconds. Here we learned that the City was able to set aside more than 50% of TIF revenue outside of allocations for debt obligations. Basically, what this means is that the city expects that we will collect X dollars from the TIF and the amount we expect to spend in order to pay off the loan for the supplements will be less than ½ X. First note my disappointment that information from other meetings did not make it into the read ahead. For this paper, I am using a paper copy of a worksheet that we were handed one meeting. As you can tell from the picture this is quite the worksheet. As you might imagine some people may be hesitant to publish something like this because of how many questions it would prompt; so I understand why I am consistently disappointed. Can you imagine how much time it would take for a member of city staff to explain this document to each individual that might call city hall for an explanation? Think of how much more challenging it is for the city if there happen to be a mistake or bad assumption in the worksheet. If you can’t see my point, just look at the few questions I take the time to write out about just a small portion of the document. The column where the blue, red and purple arrows point is not labeled but these look to be the totals for the columns that follow. So the blue arrow appears to point to the total amount the city expects to collect from these houses while the red arrow points to the total amount it takes to pay off the loan and the purple arrow points to the percentage which indeed is less than 50%. The first thing that a reader of this document should pick up on is that this is not a polished report. It is a working document to help the individual who created it make a recommendation but it is not one that could be fully understood by itself. You can see this by looking at the row names and then looking at the information in the rows. Back to this section of the worksheet. In the picture above, the two green arrows added together result in the number at the red arrow. This appears to be the expected total the city expects to receive in TIF funds for the year 2021. The purple arrow is the total of all the years from 2017 to 2020. Therefore, adding the red arrow to the purple arrow gives us the total amount of TIF dollars from 2017 through 2021. I interpreted all those sections so that we could talk about the Red arrow and the yellow arrow below. The red arrow indicates the expected amount the City will pay on the loan in 2021 and the yellow arrow is the amount of TIF dollars the city will expect to receive in 2021. The question is, should the City supplement the building of houses in Carriage trails and if so by how much? To simplify the argument let’s start with the assumption that Carriage Trails is a successful and thriving development and will continue to sell about the same number of houses whether the lot price is $45,000 each or $53,000 each. We will have the argument if this is a good assumption later. From all the pictures and discussion above we see that if the houses are built, most years the City will receive about $200,000 a year in TIF revenue. For more background, we need to examine what the contract says will happen with the TIF dollars as they are collected. Find the contract here Amended and Restated Development Agreement. Look at section 8.4(c). Let’s start with a simple summary of sections (i), (ii), and (iii) and say these sections require we spend the first dollars of the TIF revenue to pay off the loans for building these lots. If there is anything else left over then section 8.4(c)(iv) tells us the City gets 1/3 to spend on infrastructure and the Developer gets 2/3 to spend on infrastructure as long as it is spent in Carriage Trails. Caveat: in the 19th amended agreement it states, “Notwithstanding anything agreed to above, the parties agree that in no event will the City be obligated to provide any funding, as described above, in excess of $8,000 per lot for any particular Phase of any or all Sections listed above.” If this is read as the developer will only get $8,000 per lot and no more, then, there would be no 2/3 split in section 8.4(c)(iv). Scenario 1. The city provides the supplement and section 8.4(c)(iv) is in effect with the 1/3 and 2/3 splits in effect. 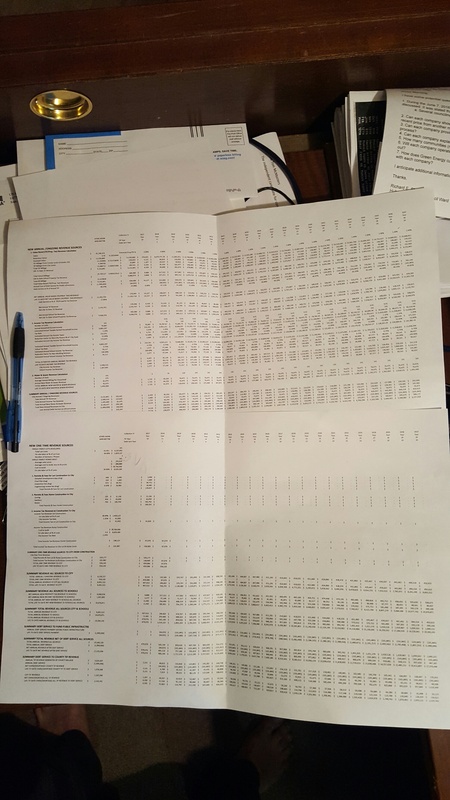 Then the worksheet tells us that the expected TIF revenue is about $200,000 in most years and the cost of debt service is about $100,000 per year. 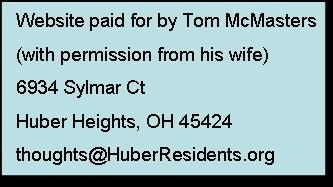 In this scenario if the developer puts in a request then the 1/3, 2/3 goes into effect and the city gets $33,333 it can use to pay for other projects such as the Aquatic Center or Fire Station. Scenario 2. The city does not provide the supplement, remember our assumption is that all the lots still get built because the economy is thriving. The TIF revenue would still be $200,000 but now the 1/3, 2/3 split would mean the city gets $66,666 a year it can use to pay for other projects such as the Aquatic Center or Fire Station. Scenario 3. Looking at the caveat above, if this actually means that the 19th amendment limits the total amount of money the developer will get for each of these lots at $8,000, i.e. 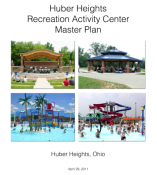 the 1/3, 2/3 split does not apply then if the city provides the supplement then the city would get $100,000 a year to pay for other projects such as the Aquatic Center or Fire Station. 1. The amounts used above for loan repayment is the actual principle + interest + costs of getting the loan. The real formula includes a set aside. A set aside is an amount above the actual amount that is collected in order to make bankers more confident the loan will get paid back. These set asides usually help keep the interest rates low. The interesting part about these set asides is that the banks do not actually get this money, it will be kept by the city. The actual set aside level has not yet been determined but the development agreement says that it will be at least 20% higher than what is needed to pay off the loan. So looking at Scenario 1 again if the set aside turns out to be the minimum then instead of $100,000 being available for the 1/3, 2/3 split only $80,000 is available. So the city would get $20,000 + 1/3($80,000) or $46,667 instead of $33,333. We need to have a discussion on what the actual set aside percent is likely to be. Places to examine would be the DEC Carriage Trails TIF Calculation examples found within the tif_Music_Center_Examples_3-14-2014.pdf that was provided in the 2025 plan update given last month. Also, it would be good to see the amounts available to the city that staff is using when they allocate that money to the Aquatic Center, Fire Station and deposits into funds. 2. The development agreement formula tells us the first money collected goes to pay off the SIB loans the city took out to build the I-75 interchanges. 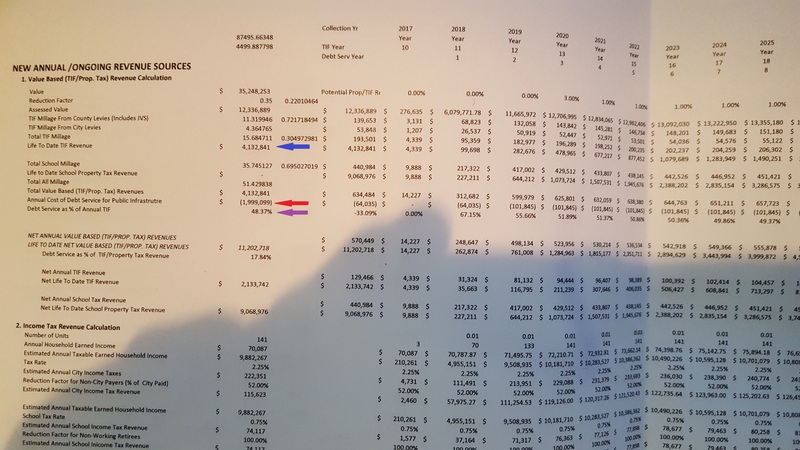 We need to have a discussion on why we are designating the TIF dollars to pay off the Aquatic Center and Fire Station which do not affect the 1/3, 2/3 split instead of designating those dollars as going to paying off the SIB loans. 1. This discussion has so far been concentrated on just this amendment. To be a comprehensive discussion we need to examine the entire development agreement and all the amendments; amount of lots built, the amount of TIF revenue for all of them, the loan amounts and coverages. 2. How good of an assumption is it that the developer will still be able to sell just as many lots whether the city provides a supplement or not?